Criminal Court has dismissed the charge against Vilingili MP Saud Hussain for conspiracy to carry out an act of terrorism. Saud was accused of conspiracy to assassinate High Court Judge Shujau Usman and charged in reference to Article 4 (a) (ii) of the Anti-Terrorism Act, Article 5 (a) (i) of the Anti-Terrorism Act and Article 7 (a) of Anti-Terrorism Act under Article 7 (b) of the Anti-Terrorism Act in 2017. The Criminal Court said the case does not fit the civil standard determined in the Penal Code and dismissed the charge this Sunday. Alhamdhulillahi, RaeesYameen ge aniyāveri dhaulathun alhuganduge machah ufadhaafaivā asleh nei terrorism ge siyaasee dhauvaa, madhanee mingandun kuriah gendheven nei kamah kanda alhaa #CriminalCourt in massala ninma #Hukum kohffi. Saud faced 17-20 years in prison he had been successfully prosecuted. 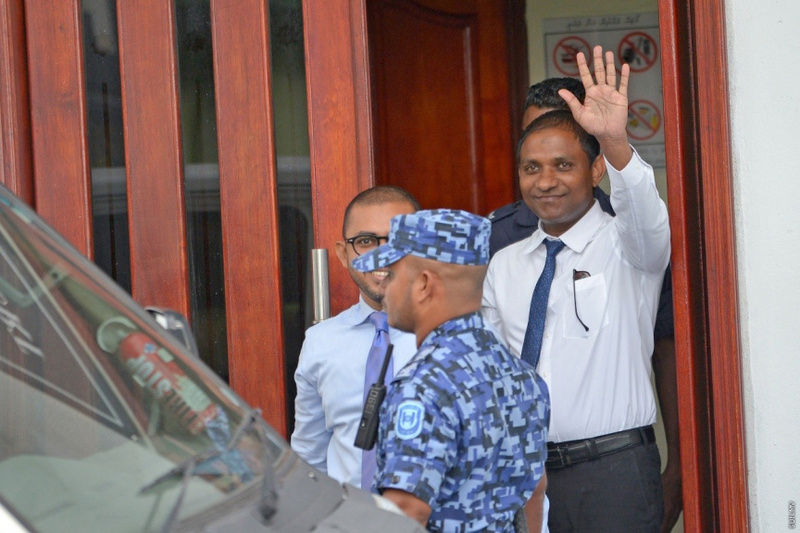 Charges were also pressed against his relative, former Senior Policy Executive at Ministry of Education, Ibrahim Haneef in the same case.